Equipped with a metal keypad to guarantee durability and resistance to wear. 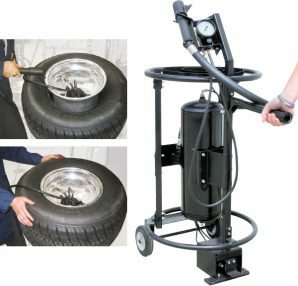 To achieve perfect inflation it is simply a matter of keying in the required pressure and pressing a button: the compressor inflates the tyre to the correct value while a second display monitors every step of the process. 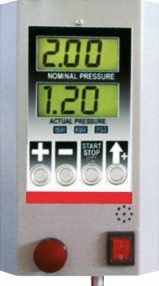 It includes the over-pressure function: when a bead is seated with overpressure, from 0.1 to 1.5 bar. 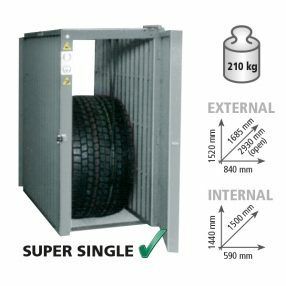 Thanks to the special iron bars layout, tyre-explosion generated pressure is contained by the cage structure. In case of tyre burst, the pressure absorbing iron bars reduce risks of injury, limiting flying tyre fragments. The top roll-bar prevents the rim from flying out of the cage. 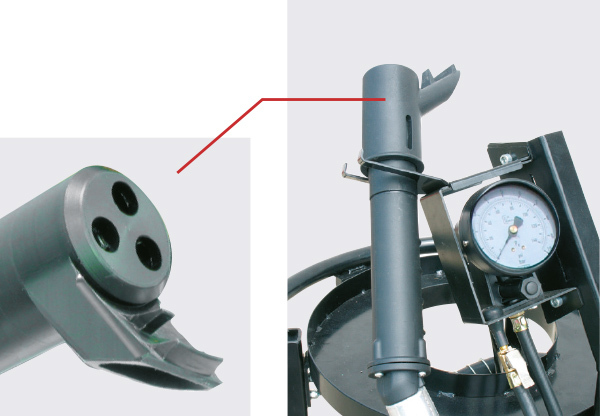 Cage and inflation gun, including open door pressure limitation. 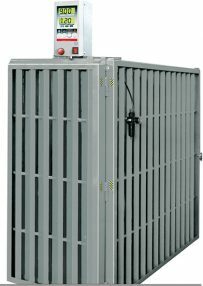 Cage and digital truck inflator, including open door pressure limitation. The new and powerful Tubeless Inflation on trolley, allows the fast bead seating on every kind of tyre, disregarding its dimension. Thanks to the large tank capacity, it can be used to fill up the tyres pressure outside the tyreshop, even if not connected to the air-source. It is standard supplied with a security device, which preserves the operator safety in case of improper use. It can be connected to a Nitrogen Generator. Equipped with plastic inflation head for rim protection.